These presentation slides 41298 are complete compatible with Google Slides. Simple download PPTX and open the template in Google Slides. 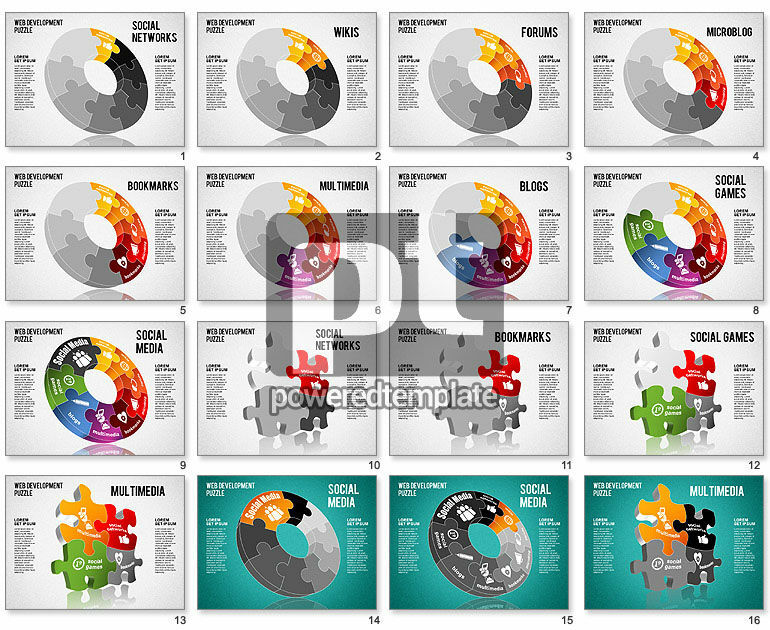 You just cannot miss this really modern Web Development puzzle template in a 3D style dedicated to social networks of various kinds, sharing, content, internet community, social media and many other issues. There are lots of colorful parts for different spheres, which get their colors gradually, so using of this great sample at your presentations will be highly appreciated by your audience.